This beautiful agave has sent out its center stalk. 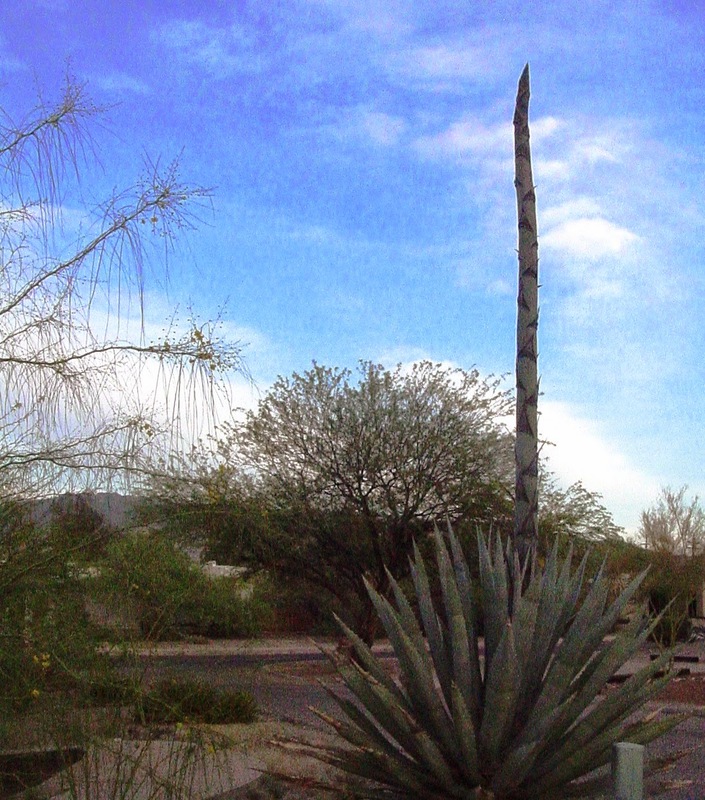 This mighty stalk is often harvested to create the ancient musical instrument, the didgeridoo. Don't know what the didg sounds like? Click here!